Weapon Lab | Boom Beach. All about the Game! The main purpose of the Weapon Lab in Boom Beach is the production of prototype defenses that we can place on own island and strengthen our defense. The main difference of prototype defenses from the rest main defensive buildings are their short period of validity, which is only 7 days. After 7 days period of activity the prototype disappear. For creation of prototype defenses, we need to collect prototype modules that are available in the Game as a reward for successful made attacks. You will find all necessary brief information about Weapon Lab and all seven types of prototype defenses on this page. 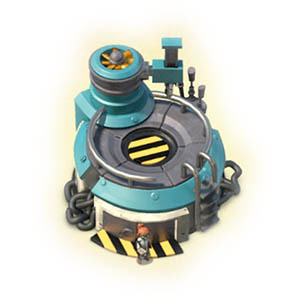 Weapon Lab in Boom Beach is a round building with a predominance of blue color. This building becomes available from the 15th level of Headquarters and intended to create prototype defenses (very powerful but temporary defensive weapons). All prototype defenses made from prototype modules that we can earn in the Game. 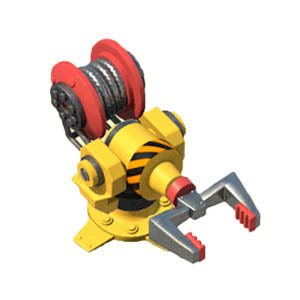 There are 4 types of prototypes modules in Boom Beach: Critical Fuse, Complex Gear, Power Rod and Field Capacitor. Weapon Lab in Boom Beach has 5 levels. Upgrading the Weapon Lab increases amount of defense prototypes that can be placed on own base (from 1 to 3) and unlocks more powerful prototypes. On the first two levels of Weapon Lab we can have only one prototype defenses. After upgrading lab to the 3rd level we can install 2 protos. And with Weapon Lab of 5 level the quantaty of available prototypes increases to 3. Shock Blaster. The shock Blaster in Boom Beach is a prototype with high rate of fire (one shot per 0.08 sec), damage power and large range of fire. Externally Shock Blaster very similar to permanently installed tank’s tower with twin trunks. In addition to high damage power, Shock Blasters bullets paralyze target for a short time. During the shooting, this prototype automatically switches between targets. Due to high rate of fire, Shock Blaster is very effective against Rifleman, Zooka, Warrior, Cryoneer and Grenadier. Slightly less effective against Scorcher, Tank and Heavy due to their great stock of health. The Shock Blaster in Boom Beach has 3 levels. Each level has different figures of health, damage power and shock duration. On each level, proto has different appearance. Lazor Beam. 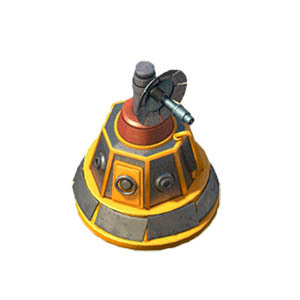 The Lazor Beam in Boom Beach is a prototype that externally is very similar to a small round tower with satellite dish on top. It has a relatively average damage power and low rate of fire (one shot per 4 seconds). Distinctive feature of this proto is ability to cause damage for group of enemy troops (beams burn throughout any target causing damage to all units in its path). Lazor Beam in Boom Beach is very effective against units with weak stock of health such as Zooka and Rifleman. Less effective against Warrior, Grenadier, Heavy and Cryoneer. The armor of Scorcher and Tank is almost unpenetrable for laser beams. The Lazor in Boom Beach has 3 levels as the other protos. Each level has different figures of health and damage power. On each level, proto has different appearance. Damage Amplifier. 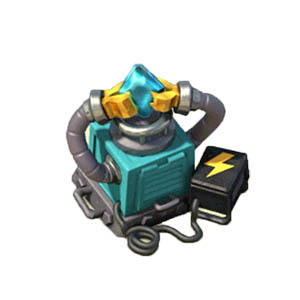 The Damage Amplifier in Boom Beach is a prototype, the main purpose of which is the increase of damage power of nearest defensive buildings. In fact, the Damage Amplifier doesn’t cause any damage to the attacking troops on its own. It is recommended to place different types of defensive buildings near Damage Amplifier. Such position allows balancing defense and makes it the same effective against different types of attacking combinations. The efficiency of using this prototype weapons depends on types of defensive buildings located in the radius its action. 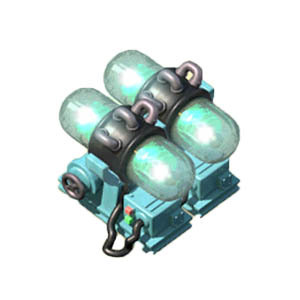 The Damage Amplifier in Boom Beach has 3 levels as the other protos. Each level has different figures of health and amplifying power. On each level, proto has different appearance. Doom Cannon. The Doom Cannon in Boom Beach is a prototype that has the biggest damage power in the Game. It also has high range of fire but rate of fire is low (1 shot per 3.5 sec). The Doom Cannon fires single shots but its shots can hit several targets that is near (for example one shot in the group of Zookas can destroy up to half of group when units are close to each other). This proto is very effective against the Scorcher, the Tank and the Heavy (the last two can be destroyed from one shot). Due to the low rate of fire, vulnerable against mass infantry attack (Reflemen or Zookas). It is recommended to place the Mortar or the Rocket launcher near the Doom Cannon for its protection from infantry. The Doom Cannonr in Boom Beach has 3 levels as the other protos. Each level has different figures of health and damage power. On each level, proto has different appearance. Shield Generator. 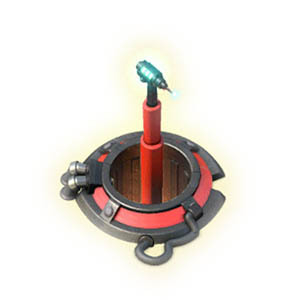 The Shield Generator in Boom Beach is a prototype that creates a force field around the Headquarters that shields it from damage. The shield works until the generator isn’t destroyed. The efficiency of this proto is directly depended on its location. 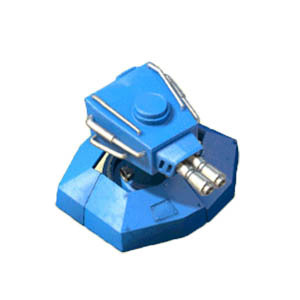 It is recommended to place Shield Generator behind the Headquarters. Such position eliminates the possibility of destruction of generator before attack on the Headquarters. It’s not recommended to place generator far from any defensive building. Such position of generator is great target for enemy’s critters. The Shield Generator is very effective against Warriors. The Shield Generator in Boom Beach has 3 levels as the other protos. Each level has different figures of health and strength of shield. On each level, proto has different appearance. Grappler. The Grappler in Boom Beach is a prototype that shoots steel tongs into the midst of the offensive troops group and pulls out one unit. Caused damage for enemy’s unit isn’t big from such operation but it is not the main destination of Grappler. The main purpose of this proto is separation of enemy’s army and destruction units one by one. The Grappler has great radius of action. The rate of fire is from 3 to 5 seconds (depends on its level). This prototype is very effective against Scorchers and Tanks due to their small amount. Practically there is no benefit from using Grappler against mass infantry attack. 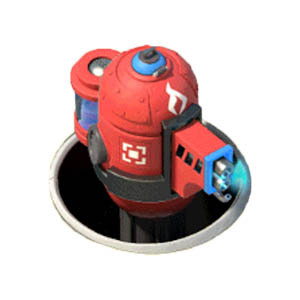 It is recommended to place Grappler near Cannons and Boom Cannons. In such position, the plucked from the group Tank or Scrocher would be destroyed very fast. Hot Pot. The Hot Pot in Boom Beach is in essence a very powerful flamethrower with an increased damage range and damage power. A distinctive feature of Hot Pot from other prototype defenses is it design: in the quiescent state, the Hot Pot is hidden in some sort of an underground tunnel and appears only when advancing troops get into the radius of its action. Such design shields it from Gunboat and Hot Pot can’t be destroyed when it is in the quiescent state. All targets attacked by Hot Pot continue to burn during 5 sec after attack, taking an extra damage. 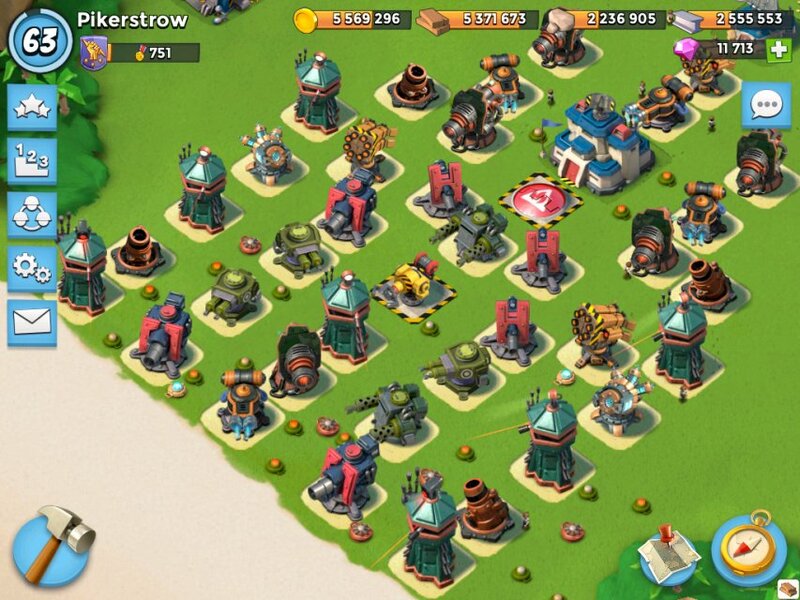 The Hot Pot in Boom Beach is very effective against units such as Rifleman, Zooka, Warrior and Cryoneer. He destroys them in seconds. Not effective against Grenadiers due to their larger radius of attack. It is recommended to place Hot Pot near the Headquarters for better protection from Warriors. The Hot Pot in Boom Beach has 3 levels as the other protos. Each level has different figures of health and damage power. On each level, proto has different appearance.